Tuscan baked sweets and savories are made either with no butter (i.e. almond biscotti) or with shortening or plain old fashioned lard. Italians and Tuscans especially take great pride in baked goods, especially breads which have hundreds of years of heritage attached to every crumb and every morsel of that “buttery” sugary simple carbohydrate bite. 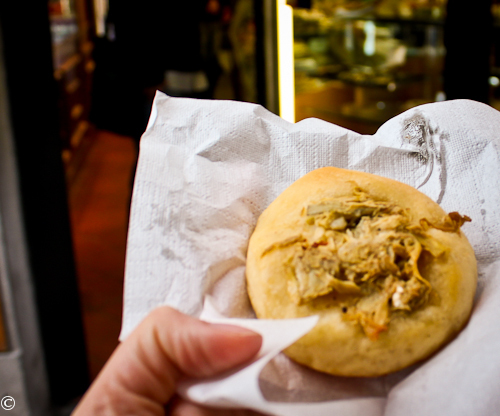 So it is quite possible to find yourself in a conundrum in deciding which baked goods to try in Florence. Despite its small size, the city is brimming with bakery shops on every corner. This little guide is designed to save you time and hassle since I have taken it as my duty to taste as much as possible to assist visitors to Florence in identifying where to get the finest, most artisan and true-to-tradition baked goods in the historic center. La Schiacciata- literally meaning “squashed”, this flat bread which could be considered the Tuscan version of focaccia, is what carb dreams are made of. 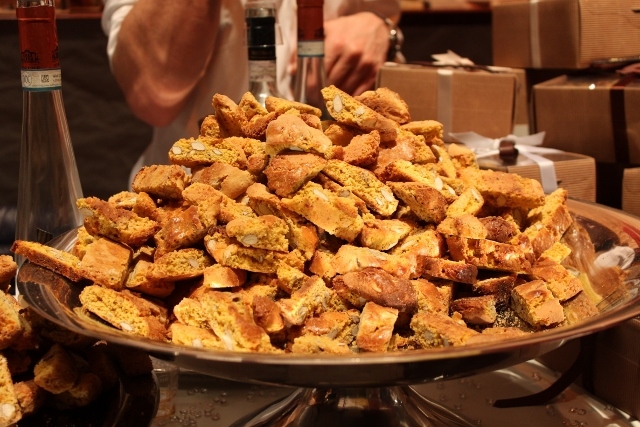 It is the only bread with a distinct flavor you will find in Tuscany. Why? Most Tuscan bread is generally made without salt or oil for historical reasons. La Schiacciata instead is an oily, salty, warm piece of heaven. 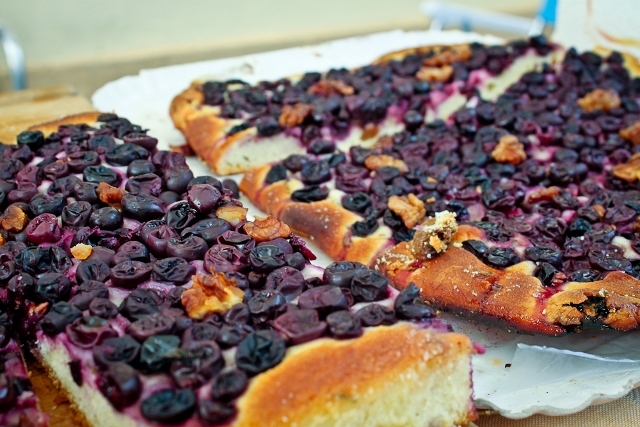 Schiacciata con l’uva- “Squashed” bread made sweet with wine grapes, made mostly during the wine harvest period. It is a pleasant, seasonal dessert that most bakeries and wine festivals will serve fresh, typically during September and October. Coccoli- Meaning “cuddles” in Italian, these little fritters are fried bread balls that heaven sent down for us gluttons. Salty, oily and downright satisfying. 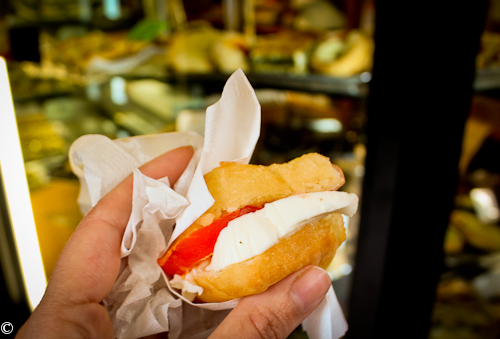 Not only is this bread enjoyed as a fried food thus decadent on its own, it is traditionally stuffed with stracchino (a fresh, cream cheese) and Tuscan ham as a sort of local appetizer or snack. It is ideal with a Chianti or a rich white wine. Cantucci: Meaning “little corners” or “nooks”, these are tiny biscotti made simply with flour, eggs, sugar and almonds. 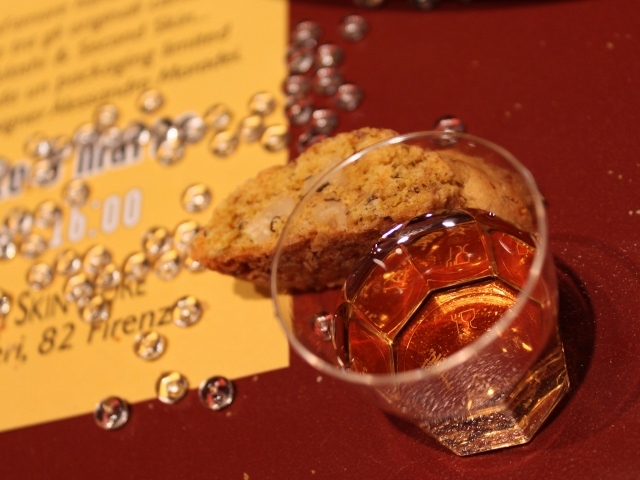 Very straightforward to make and deliciously paired (or rather dunked) with local dessert wine or “Vin Santo.” Try them! An additional note about Schiacciata: traditionally this was seen as a sort of “merenda” snack for schoolchildren when sprinkled with sugar. Nowadays, children are eating prepackaged, processed carb-rich snacks instead which is slightly concerning. I would much rather feed my child natural products, so embrace your inner Tuscan child with an old school merenda of sugared schiacciata! 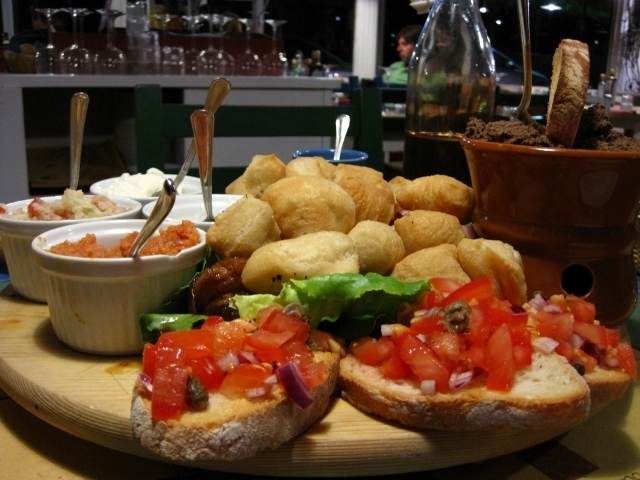 Concierge tip: Looking forward to an authentic Italian breakfast? 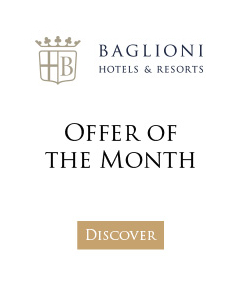 Take advantage of the Baglioni Breakfast Inclusive offer at Relais Santa Croce in the heart of Florence’s historic center and within walking distance of the city’s best bakeries.